A significant part of the EBAs success is because of great and self-less volunteers! Thank you to all of those who help make baseball part of our youth's childhood development! To volunteer to coach (head coach or assistant) for the Spring 2019 season, please read the process below and then click here. You'll be directed to our spring registration page and then click on the "Volunteer to Coach" button. This will lead your through setting up your My Account and uploading your clearance documents. 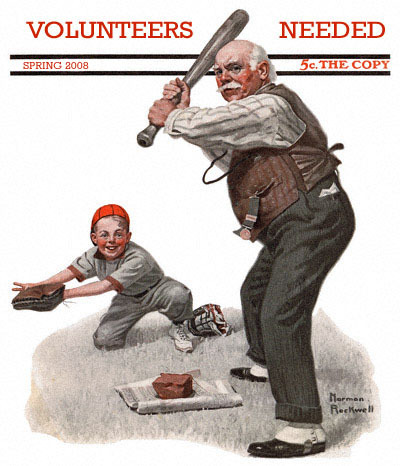 To volunteer for another role (Team Mom, EBA position, Field Maintenance, Team Coordinator, etc), please email info@ephratabaseball.org and let us know how you want to help. Or you can contact any EBA board member listed on our About Us page. Thank you in advance of your interest. Volunteer Coordinator position is also open. Attn Parents & Coaches: Click here to read and complete the concussion education information. Beginning July 1, 2015, an adult in PA applying for an unpaid position as a volunteer responsible for the welfare of a child or having direct contact with children will need clearances. Must read and comply with concussions and other safety protocols. To be a head coach for the higher skill and knowledge levels (i.e. 10U & above), additional qualifications are required. Submit during registration of your player. After selecting you want to be a coach or assistant coach, you'll be prompted to submit the clearances. 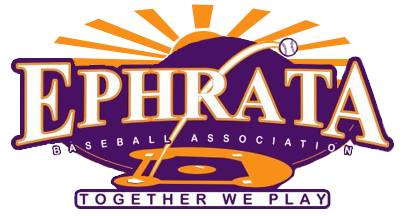 If you don't have a player or didn't state you wanted to coach during registration, email info@ephratabaseball.org. Email info@ephratabaseball.org if you have any questions. Thank you for cooperating and working with us to ensure we are compliant with the law but more importantly we are completing our due diligence in keeping our kids safe! When should I start the clearance process? To avoid delaying practicing, please get them in asap. If you think you'll be involved with at least assistant coaching, or a clinic, in the upcoming year, we recommend starting immediately. Can I use clearances I already have? Yes. If that organization will provide you a copy then you can submit the copies. In some instances, organizations who pay for the clearances will not allow you to use that clearance for another organization. We hope that isn't the case because you'll need new clearances. However, this time own the documents and can use for every organization that requires. Who pays for my clearances? The volunteer is responsible for paying the cost of the required clearances. You'll be able to use these same clearances for every organization that requires them. If you submit your applications after July 25, 2015, there will be no costs for PA Child Abuse & the PA Criminal clearances. FBI Clearance, if applicable, will have a cost. See link for FAQs below for more information. How do I know when I'm approved to coach? After submitting all clearances, you'll be assigned a team by the Coordinator and will be notified by the Coordinator. If you want to proactively check on the status, email the info@ephratabaseball.org or the Coordinator for that season as listed here. EBA's definition of a coach: any person who will be on the field or the bench during practices or games or someone who is leading or assisting with any clinic or practice involving players. Team Parents or scorekeepers are not included as long as they are not interacting with the players (they should not be on the field or the bench). All EBA Board members will also have all clearances.